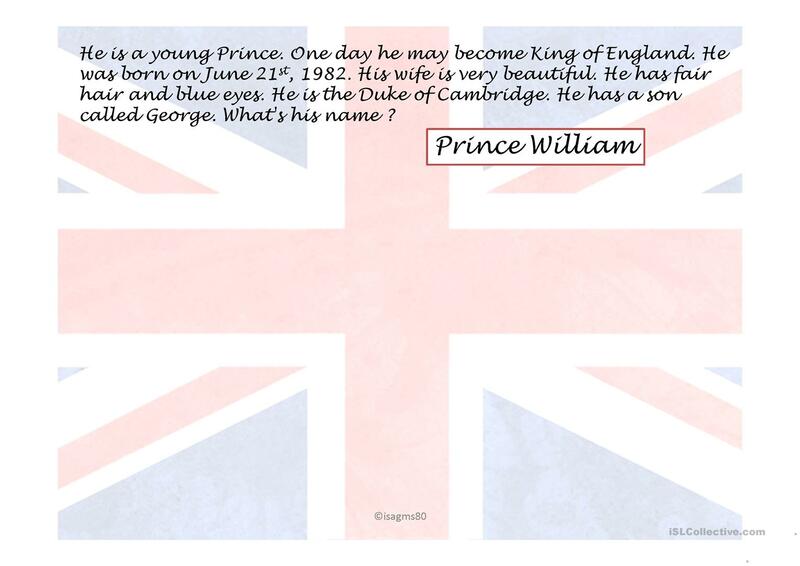 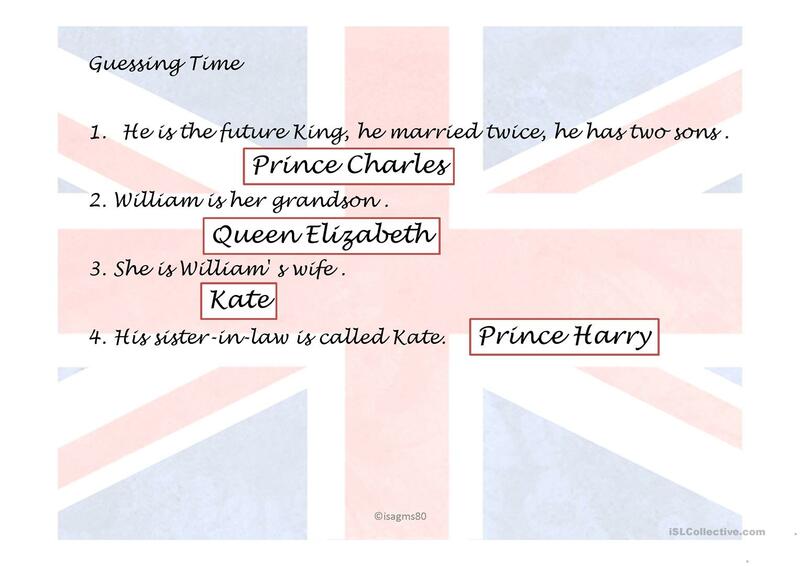 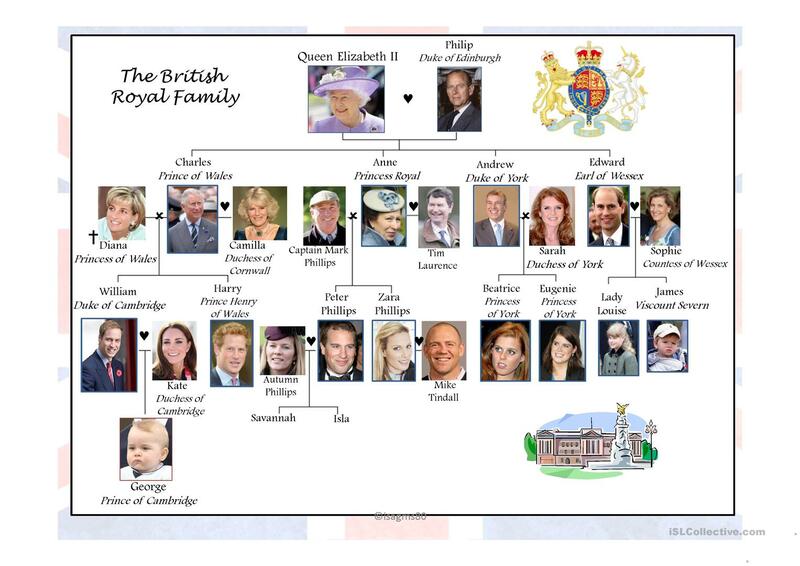 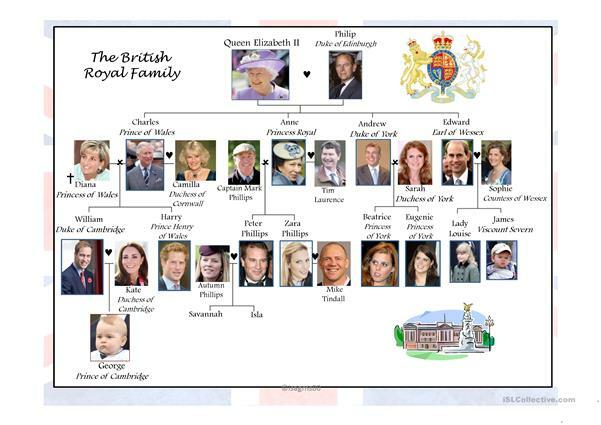 This slideshow is about the British Royal Family from Elizabeth II to Prince George. 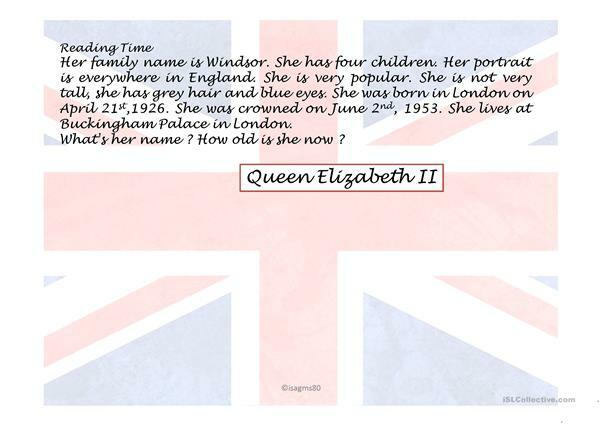 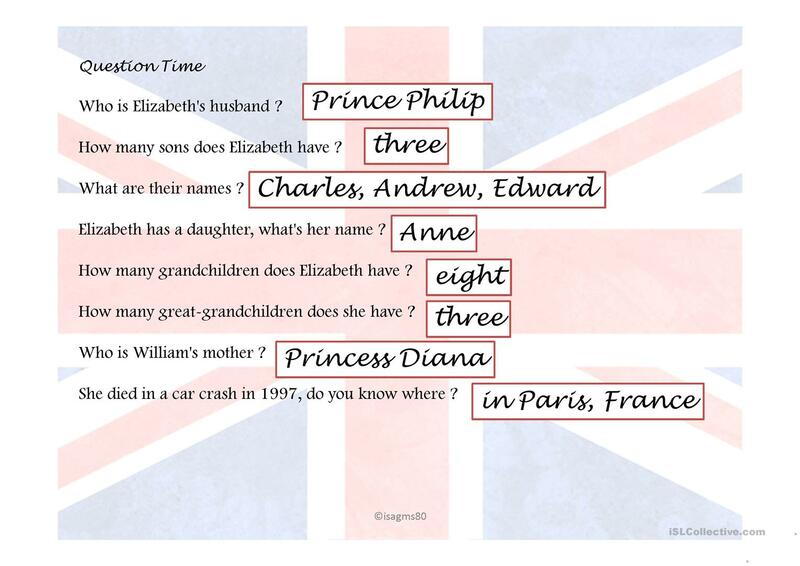 Students have to read and answer questions about the members of the Royal Family. 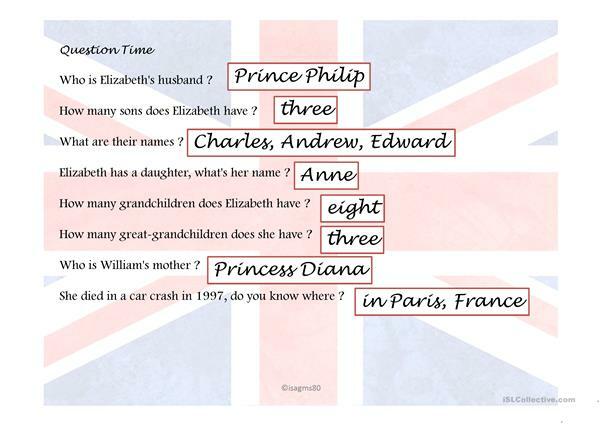 There´s also a guessing game. Then pupils can create a game for their classmates, write a question or a riddle, swap their exercise books and try to answer their classmates´ questions and riddles. The present downloadable printable is best suited for high school students, elementary school students, adults and students with special educational needs, learning difficulties, e.g. 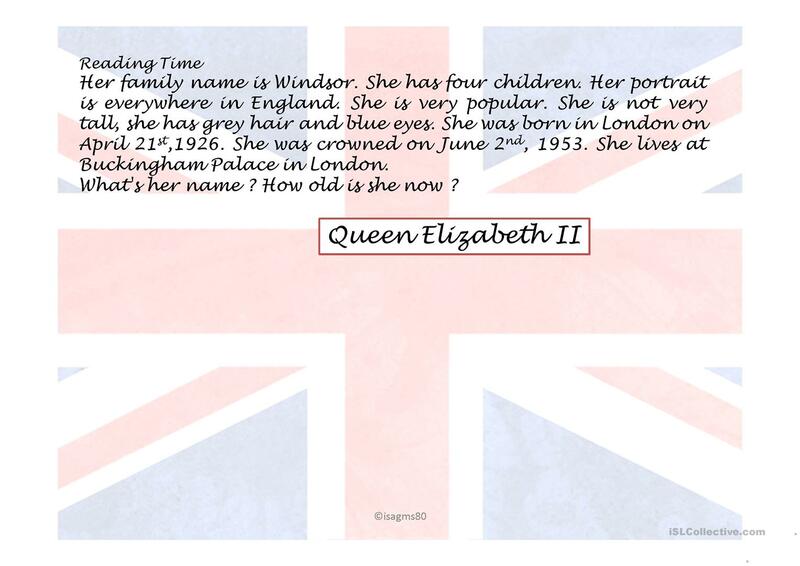 dyslexia at Elementary (A1), Pre-intermediate (A2), Intermediate (B1) and Upper-intermediate (B2) level. 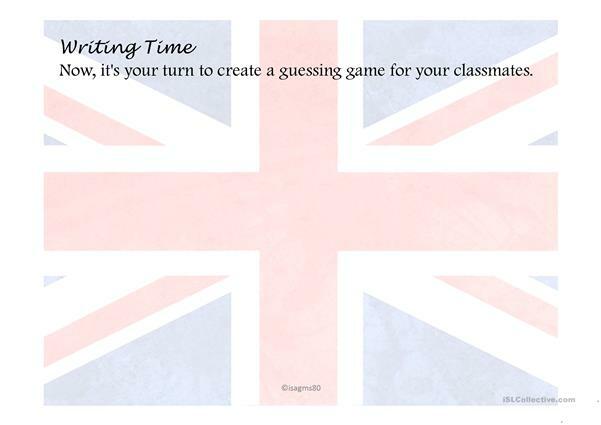 It is useful for developing your learners' Speaking, Reading and Writing skills.